Following his recent estrangement from his fellow Blink-182 bandmates Mark Hoppus and Travis Barker, Tom DeLonge has confirmed that he will release his first solo album, To The Stars on 20 April. “What people don’t know about me is that I’ve been building companies for a long time" DeLonge states, "I built a platform that Kanye and Nine Inch Nails and Pearl Jam would use to monetize all of their art, their fan clubs, ticketing and all that stuff". "At this point in my life I just know a lot of things and it’s a better use of the skill sets that I’ve acquired to be doing what I’m doing now than just being on stage playing the songs over and over again—even though it’s fun as sh*t when there’s pyrotechnics and lasers—I love that. But I’ve never needed attention to feel good about myself…"
The guitarist also promises to issue an LP subtitled "Demos, Odds And Ends" at the end of next month, three tracks from the record will be released over the coming weeks via the musician's new website, tomdelonge.me. 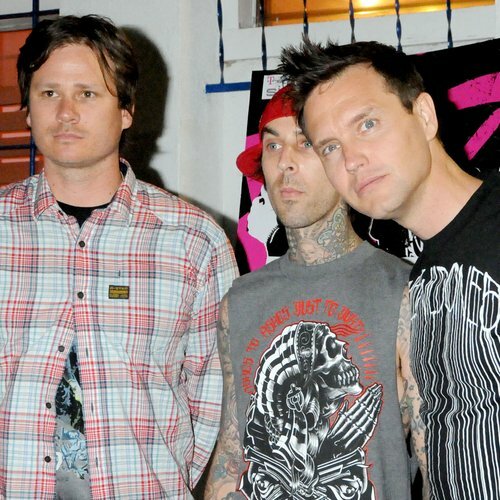 In January, the remaining members of Blink issued a statement, saying: "A week before we were scheduled to go in to the studio, we got an email from [Tom's] manager explaining that he didn’t want to participate in any Blink-182 projects indefinitely, but would rather work on his other non-musical endeavours. Matt Skiba from Alkaline Trio is to replace DeLonge at Blink's forthcoming shows.